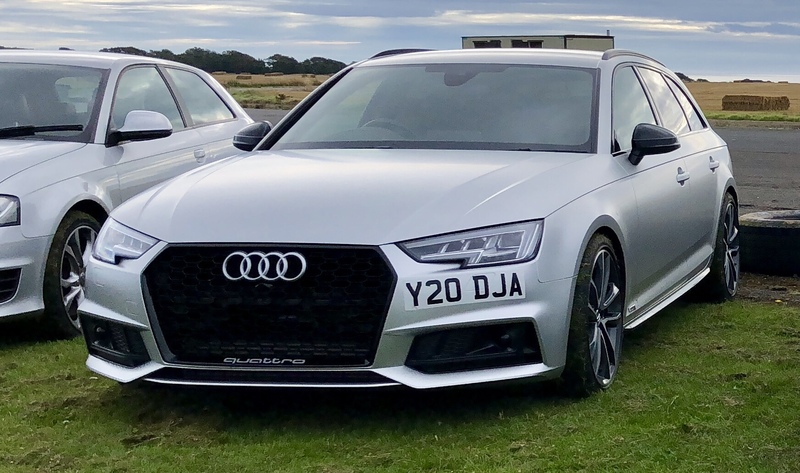 Got my new Navarra Blue S4 saloon last week, i never ordered the black edition pack for two reasons, first its a lease and the deal was much better on standard and two I thought it might look good with chrome.. I was wrong ! it looks more like an executive saloon and not a mean car (I'm only 38 and feel like about 60 when I'm looking at it from outside) like I wanted the S4 to be. So how do I get it looking more mean? 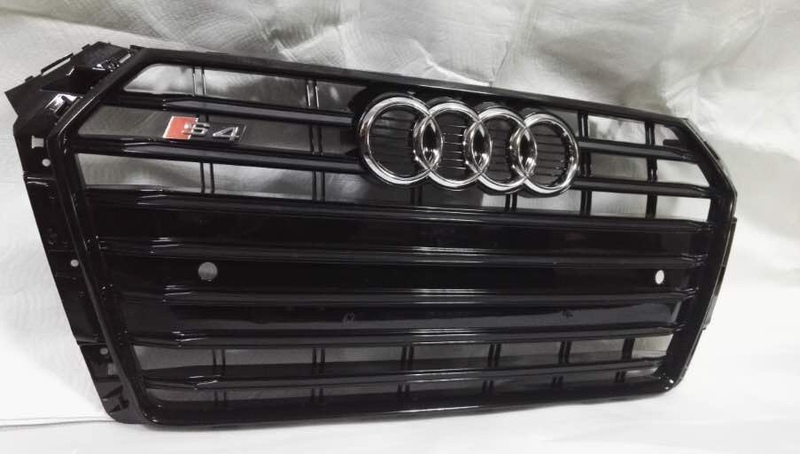 I'm thinking of getting mirrors and window surrounds wrapped, not really sure what to do within the grill because its not just the outer edge its the chrome lines inside of it too. Spray the grill with plastidip and glossifier get rest wrapped? Springs and spacers? RS grill is a good addition. The springs and spacers like I have help make it look a bit meaner on the road too. Spaceman_RS3 and mojo555 like this. how much is it m ate? and do you know whats involved in replacing one as I will have to swap back hen the car goes back..
whats the camera? it does have front assist I think.. They range £275-300 ($350-400) delivered. I put mine on and it’s pretty simple overall, just lots of fiddly bits but in the RS grille thread there’s a PDF guide for taking the bumper off. A garage would probably be about two hours labour id imagine. If you decide you want it just PM your number and I’ll get Ozzy to get hold of you on WhatsApp. EDIT: The camera is used for the 360 degree camera, so if you don’t have that then you don’t have a front camera in the grill.